Advances in noninvasive imaging should create more opportunities for physicians to localize treatment and optimize care. As treatment options for epilepsy have grown significantly in recent years, innovations in imaging are enhancing visualization, understanding, and diagnosis of epilepsy. 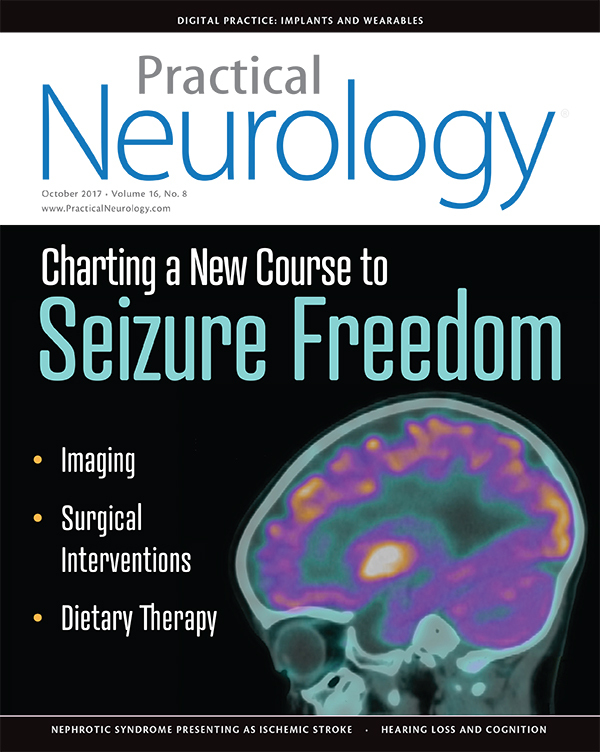 Once these newer imaging technologies are implemented in practice, physicians should gain the ability to home in on specific features of epilepsy and localize procedures accordingly. On a broader scale, these changes could allow physicians to better target the high number of medication-refractory cases of epilepsy. This article reviews new developments in neuroimaging for epilepsy—including functional glutamate imaging, high-field magnetic resonance imaging (MRI), and positron emission tomography (PET) to image neurotransmitters—and considers their impact on clinical care and practice. Novel imaging modalities for epilepsy may usher in new ways of visualizing and understanding the underlying mechanisms of epilepsy, which may lead to treatment optimization. These recent advances underscore the growing need for noninvasive imaging biomarkers, particularly in patients with MRI-negative epilepsy. Among the 65 million individuals worldwide with epilepsy, roughly one-third are refractory to medication.1 Within this group, a small percentage have Lennox Gastaut Syndrome (11%) and generalized epilepsy (6.9%), but a vast majority (80.5%) have localization-related or partial onset epilepsy.2 Among these individuals, roughly 65% have temporal lobe epilepsy, while the remaining 35% have extratemporal neocortical epilepsy.3,4 Traditional thinking has long held that the likelihood of achieving seizure freedom from surgical interventions was much higher if a lesion is found on imaging. Yet, when we actually perform surgery on patients, a vast majority of individuals without a lesion evident on imaging—termed “nonlesional”—have histopathological abnormalities in their resected tissue.5,6 Unfortunately, one-third of patients with drug-resistant epilepsy have “nonlesional” clinical MRI results. A 2008 study examined the role of multimodality imaging currently in clinical use in patients whose seizures were not localized on scalp electroencephalogram (EEG) and MRI. The study found that sensitivity in localizing intracranial EEG onset ranged from 58-64% in magnetoencephalography imaging, 22-40% in fluorodeoxyglucose-PET imaging, and 39-48% in SPECT imaging. In combination, magnetoencephalography results, in addition to either PET or SPECT imaging, corresponded with intracranial EEG seizure onset results in approximately 80% of individuals.7 However, even when PET, SPECT, and magnetoencephalography results were obtained, a large proportion of patients (roughly 20%) were not localized with imaging, and seizure onsets were subsequently localized with intracranial EEG. Findings such as these make clear that our current clinical imaging techniques are not of high enough resolution, or we are not utilizing the right approach to identify the lesion. Unfortunately, many drug-resistant patients are deemed poor surgical candidates because their traditional MRI scan is “nonlesional.” Novel functional imaging techniques that enable clinicians to localize the “hot spot” triggering seizures may open the door to improved treatment options for this currently challenging clinical population. Many PET radiotracers have been studied in the nonlesional epilepsy population. Some of these are older and have been applied to various types of epilepsy, whereas others are fairly new. Alpha[11C]methyl-l-tryptophan (AMT) is a radiotracer for serotonin synthesis used in PET serotonin neuroimaging. In a 2013 study performed in a large cohort of patients with tuberous sclerosis complex (TSC), researchers found that the longer the duration of seizure intractability, the greater the number of AMT-PET hotspots.8 AMT hotspots were seen in patients with both TSC1 and TSC2. There was excellent agreement in seizure focus lateralization between ictal scalp EEG and AMT-PET in 68 of 95 patients in whom both ictal video-EEG and AMT-PET showed lateralizing findings; in 28 of 68 patients (41%), AMT was more localizing. Furthermore, AMT-PET was localizing in 10 of 17 patients (58%) with nonlateralized ictal EEG.8 The authors concluded that AMT-PET, when used with video EEG, provides additional lateralization/localization data, regardless of TSC mutation. They also noted that the duration of seizure intractability may predict the multiplicity of areas with AMT hotspots. PET dopamine (D2/D3 receptor) imaging has shown decreased binding in mesial temporal sclerosis. In a 2015 study, D2/3 receptor availability was decreased both in the mesial temporal lobe ipsilateral to seizure onset and in the bilateral putamen.13 Of note, these findings were more marked with longer duration of disease. A more recent small study in localization-related epilepsy using [(18)F]GE-179, a ligand that selectively binds to the open NMDA receptor ion channel, showed global increases consistent with increased NMDA channel activity.20 In addition, four of the 11 patients with drug-resistant nonlocalized epilepsy showed focal hot spots of NMDA binding. Glutamate imaging (GluCEST) indirectly measures glutamate concentrations at high resolution by applying radiofrequency saturation to the hydrogen ion of the amide group on glutamate. In vivo studies reveal high contrast between glutamate and white matter that is comparable to PET glutamate receptor binding but at a much higher resolution. Importantly, substantial human and animal evidence supports impairments in the glutamate-glutamine cycle in epilepsy leading to elevations in glutamate.28 Glutamate excitotoxicity can occur due to impaired function of glutamate receptors, glutamate transporters, and converters such as glutamine synthetase and glutaminase, or antibody-mediated oxidative stress. Given the compelling findings associated with various methods discussed here, the future in epilepsy neuroimaging is promising. In particular, these developments may usher in different techniques to look at the underlying mechanisms of epilepsy to highlight hot spots of the epilepsy network in the brain, which may lead to treatment optimization. These advances underscore the growing need for noninvasive imaging biomarkers, particularly in patients with MRI-negative epilepsy. Of note, most centers do not have a broad enough population to answer the remaining questions related to these imaging methods. Therefore, it is critical that the epilepsy-treating community establish multicenter consortia that can perform imaging studies and share data. 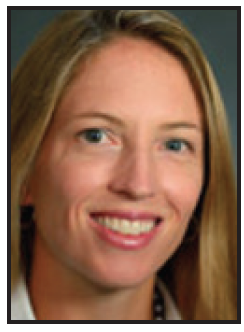 Kathryn A. Davis, MD, MS is an Assistant Professor of Neurology at the University of Pennsylvania, where she is Medical Director of the Epilepsy Monitoring Unit and Epilepsy Surgical Program. 1. Kwan A, Brodie B. Early identification of refractory epilepsy. N Engl J Med. 2000 Feb 3;342(5):314-319. 2. French JA. 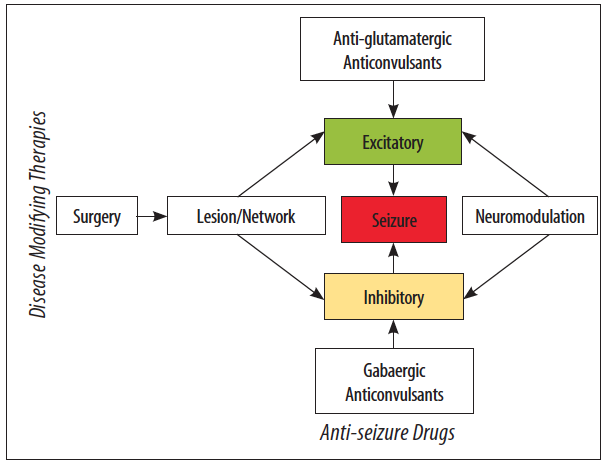 Refractory epilepsy: clinical overview. Epilepsia. 2007;48(suppl 1:3-7). 3. Callaghan BC, Anand K, Hesdorffer D, et al. Likelihood of seizure remission in an adult population with refractory epilepsy. Ann Neurol. 2007 Oct;62(4):382-389. 4. Wiebe S, Camfield P, Jette N, Burneo JG. Epidemiology of epilepsy. Can J Neurol Sci. 2009 Aug;(36 Suppl 2):S7-16. 5. Davis KA, Nanga RP, Da S, et al. Glutamate imaging (GluCEST) lateralizes epileptic foci in nonlesional temporal lobe epilepsy. Sci Transl Med. 2015 Oct 14;7(309):309ra161. 6. Wu J, Azarion AA, Pearce A, et al. An open-source automated platform for three-dimensional visualization of subdural electrodes using CT-MRI coregistration. Epilepsia. 2014 Dec;55(12):2028-2037. 7. Knowlton RC, Elgavish RA, Limdi N, et al. Functional imaging: I. Relative predictive value of intracranial electroencephalography. Ann Neurol. 2008 Jul;64(1):25-34. 8. Chugani HT, Luat AF, Kumar A, et al. Alpha-[11C]-Methyl-L-tryptophan--PET in 191 patients with tuberous sclerosis complex. Neurology. 2013 Aug 13;81(7):674-680. 9. Wakamoto H, Chugani DC, Juhasz C, et al. Alpha-methyl-l-tryptophan positron emission tomography in epilepsy with cortical developmental malformations. Pediatr Neurol. 2008 Sep;39(3):181-188. 10. Assem-Hilger E, Lanzenberger R, Savli M, et al. Central serotonin 1A receptor binding in temporal lobe epilepsy: a [carbonyl-(11)C]WAY-100635 PET study. Epilepsy Behav. 2010 Nov;19(3):467-473. 11. Vivash L, Gregoire MC, Lau EW, et al. 18F-flumazenil: gamma-aminobutyric acid A-specific PET radiotracer for the localization of drug-resistant temporal lobe epilepsy. J Nucl Med. 2013 Aug;54(8):1270-1277. 12. Savic I, Ingvar M, Stone-Elander S. Comparison of [11C]flumazenil and [18F]FDG as PET markers of epileptic foci. J Neurol Neurosurg Psychiatry. 1993 Jun;56(6):615-621. 13. Bernedo Paredes VE, Buchholz HG, Gartenschlager M, et al. Reduced D2/D3 Receptor Binding of Extrastriatal and Striatal Regions in temporal lobe epilepsy. PLoS One. 2015 Nov 6;10(11). 14. Frost JJ. Receptor localization and quantification with PET. Radiology. 1988 Oct;169(1):273-274. 15. Mayberg HS, Sadzot B, Meltzer CC, et al. Quantification of mu and non-mu opiate receptors in temporal lobe epilepsy using positron emission tomography. Ann Neurol. 1991 Jul;30(1):3-11. 16. Theodore WH, Carson RE, Andreasen P, et al. PET imaging of opiate receptor binding in human epilepsy using [18F]cyclofoxy. Epilepsy Res. 1992 Nov;13(2):129-39. 17. Madar I, Lesser RP, Krauss G, et al. Imaging of delta- and mu-opioid receptors in temporal lobe epilepsy by positron emission tomography. Ann Neurol. 1997 Mar;41(3):358-367. 18. Hammers A, Asselin MC, Kinz R, et al. Upregulation of opioid receptor binding following spontaneous epileptic seizures. Brain. 2007 Apr;130(Pt 4):1009-16. Epub 2007 Feb 14. 19. Kumlien E, Hartvig P, Valind S, et al. NMDA-receptor activity visualized with (S)-[N-methyl-11C]ketamine and positron emission tomography in patients with medial temporal lobe epilepsy. Epilepsia 1999; 40: 30-37. 20. McGinnity CJ, Koepp MJ, Hammers A, et al. NMDA receptor binding in focal epilepsies. J Neurol Neurosurg Psychiatry. 2015 Oct;86(10):1150-7. 21. Pardoe H, Kuzniecky R. Advanced Imaging Techniques in the Diagnosis of Nonlesional Epilepsy: MRI, MRS, PET, and SPECT. Epilepsy Curr. 2014 May;14(3):121-124. 22. Woermann FG, McLean MA, Bartlett PA, et al. Short echo time single-voxel 1H magnetic resonance spectroscopy in magnetic resonance imaging-negative temporal lobe epilepsy: different biochemical profile compared with hippocampal sclerosis. Ann Neurol. 1999 Mar;45(3):369-376. 23. Simister RJ, McLean MA, Barker GJ, Duncan JS. Proton MR spectroscopy of metabolite concentrations in temporal lobe epilepsy and effect of temporal lobe resection. Epilepsy Res. 2009 Feb;83(2-3):168-176. 24. Kogan F, Hariharan H, Reddy R. Chemical Exchange Saturation Transfer (CEST) Imaging: description of technique and potential clinical applications. Curr Radiol Rep. 2013 Jun 1;1(2):102-114. 25. Vinogradov E, Sherry AD, Lenkinski RE. CEST: from basic principles to applications, challenges and opportunities. J Magn Reson. 2013 Apr;229:155-72. Epub 2012 Dec 6. 26. Serry AD, Woods M. Chemical exchange saturation transfer contrast agents for magnetic resonance imaging. Annu Rev Biomed Eng. 2008;10:391-411. 27. Zhou J, van Zijl. NMR Spectrosc. 2006;48,109-136. 28. Cai K. Harris M, Singh A, et al. Magnetic resonance imaging of glutamate. Nat Med. 2012 Jan 22;18(2):302-306. 29. Eid T, Thomas MJ, Spencer DD, et al. Loss of glutamine synthetase in the human epileptogenic hippocampus: possible mechanism for raised extracellular glutamate in mesial temporal lobe epilepsy. Lancet. 2004 Jan 3;363(9402):28-37. 30. Millan MH, Chapman AG, Meldrum BS. Extracellular amino acid levels in hippocampus during pilocarpine-induced seizures. Epilepsy Res. 1993 Feb;14(2):139-148. 31. Cavus I, Kasoff WS, Cassaday MP, et al. Extracellular metabolites in the cortex and hippocampus of epileptic patients. Ann Neurol. 2005 Feb;57(2):226-235. Evidence suggests a causal link between hearing decline and cognitive impairment. Nephrotic syndrome may be more common than previously realized as a cause of hypercoagulability in ischemic stroke of unclear etiology. Despite current logistical and clinical challenges, dietary therapy will play a significant role in epilepsy treatment for years to come.